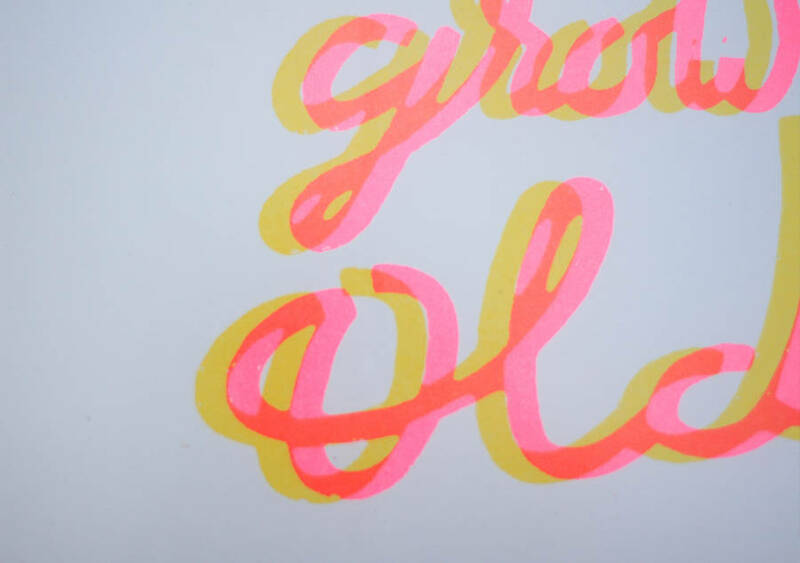 Lovely 2 colour, A3 risograph on beautiful paper stock. 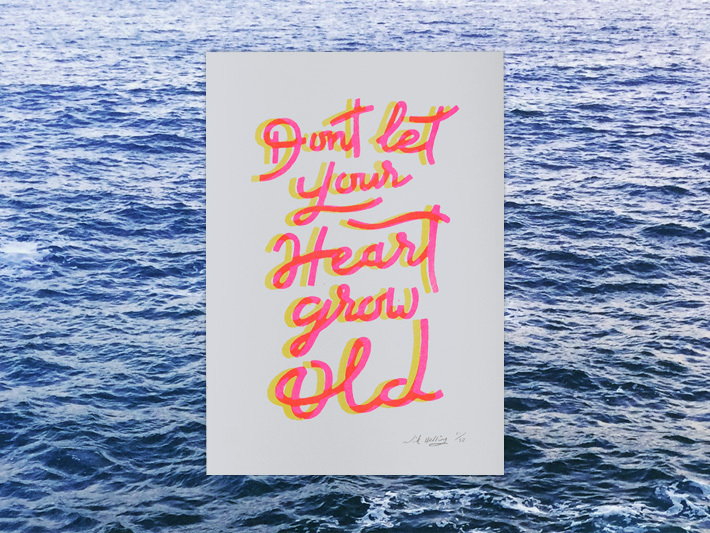 Limited to 100 editions signed and numbered. 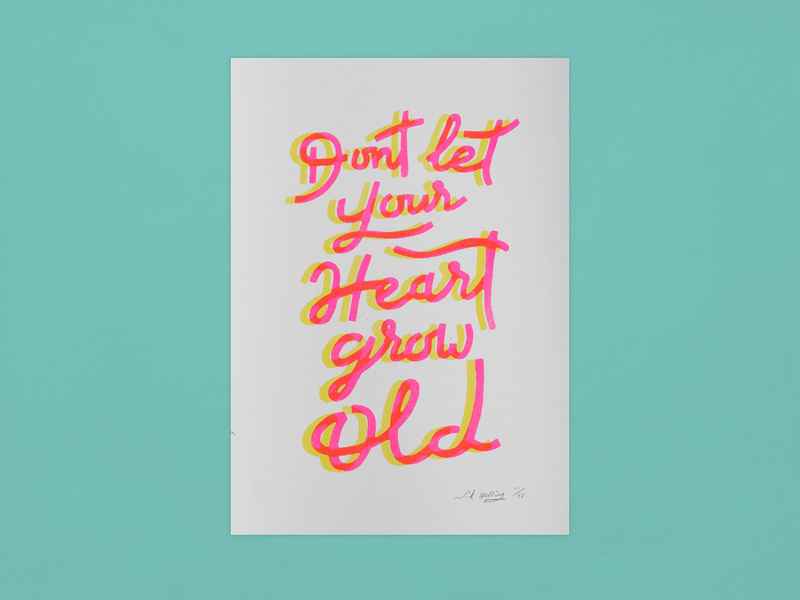 A limited edition print drawn by Nik Herring, displaying nicely crafted fluro pink and yellow typography printed on recycled paper; this is an excellent gift for anyone who appreciates wise words beautifully displayed on their walls and perfect as an engagement or wedding present. 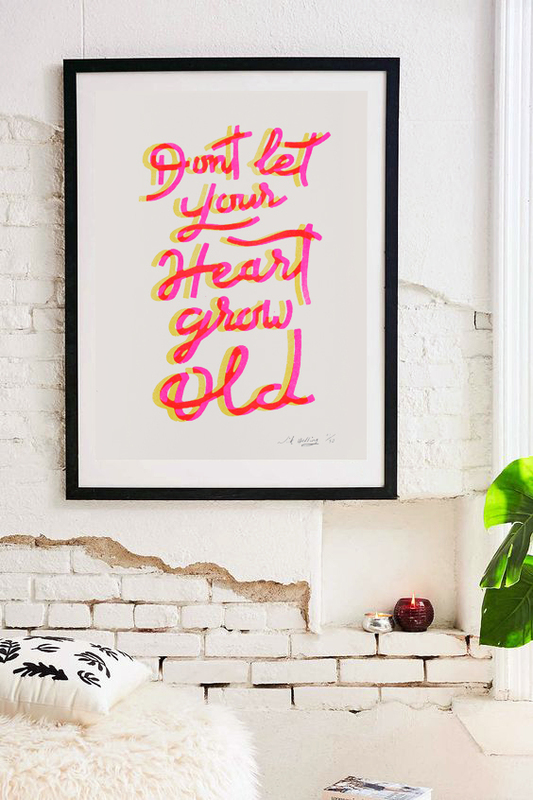 You’ll find it an excellent addition to any room, fitting perfectly into a stylish and happy home.